Located just off the coast of Nova Scotia, Canada, lies a 140-acre island engulfed within a 220-year-old unsolved mystery. There’s been endless speculation of possible buried treasure there, connecting its origins to pirates, King Solomon’s temple, Spanish gold, Freemasons and even the Knights Templar, among other theories. 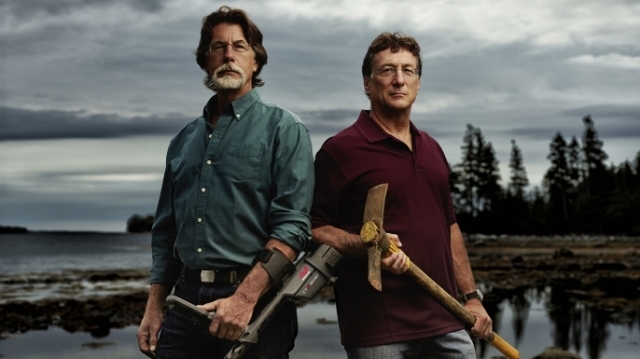 After 50 years of dreaming and 10 years of researching, two Michigan-born brothers hope to get to the bottom of The Curse of Oak Island. Hundreds of people have failed, trying to uncover the truth behind Oak Island throughout the years, often running out of money before discovering any information at all. Supposedly, the island is cursed and according to legend, seven people must die before the hidden treasure is revealed. Already, six men have died from various causes while hunting, which means one more person may die before answers are revealed. None of that will deter Rick and Marty Lagina, who began this journey by reading a Reader’s Digest article as children, invoking a lifelong sense of adventure to discover the roots of the island’s folklore. Returning for Season 3 as one of History Channel’s top-rated TV shows, Marty (the skeptic) and Rick (the optimist and risk taker) are joined by the father-and-son team of Dave and Dan Blankenship who are permanent residents of the island, with Craig Tester, Jack Begley, Dan Henskee and a host of experts, engineers, historians, fact finders, problem solvers and anybody else who might have a shred of knowledge about the area. In the season premiere episode, The Hole Truth, the 235-foot borehole known as 10-X is cleaned out and explored, which has revealed various artifacts and debris throughout the years. Underwater cameras are used to scan the shaft that provide more questions than answers. Also in this episode, a pair of sonar experts reveal that pairing nuclear magnetic resonance imaging technology with satellite imagery — similar to the ground-penetrating technology used by the U.S. military — reveals multiple treasure sites on the island, including a maze of underground tunnels, as well as priceless gem deposits. Much like Destination Truth, Expedition Unknown, Legend of Superstition Mountains and Treasure Quest: Snake Island, there’s a lot of circumstantial evidence, What-If scenarios and conspiracy theories to interpret to get to the truth, as well as eventual setbacks, but the sometimes-dangerous path to get that final destination is incredibly intriguing, regardless. History’s longest treasure hunt promises more secrets and obstacles, before it’s all said and done. It also creates some pretty good television. Strength: Lots of intrigue in this seemingly never-ending adventure to uncover the truth. Weakness: Little evidence has been revealed, so far. WTF Moment: The most shocking discovery within 10-X may not be any treasure at all, but possibly human remains.